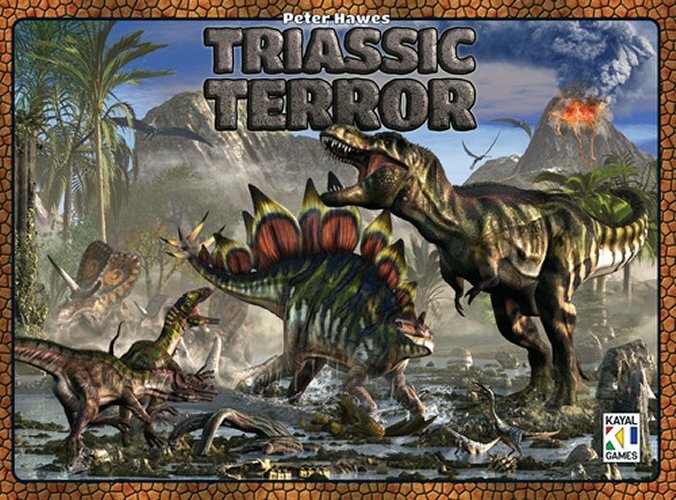 Starting with just one herd in the swamp in Triassic Terror, players must establish new herds and grow them into larger herds, which will then migrate across the four pre-historic landscapes present, competing for the best habitats. This primaeval world is, however, full of danger. Players' dinosaurs will fall prey to the mighty T-Rex, marauding Velociraptors, and swooping Pterodactyls. Erupting volcanoes will devastate some areas and fill the skies with ash, making the affected area almost unlivable. The player who best avoids these terrors and maintains the largest herds across all four environments will win the game.